This time of year we a real mixed batch of fish available for us to target. 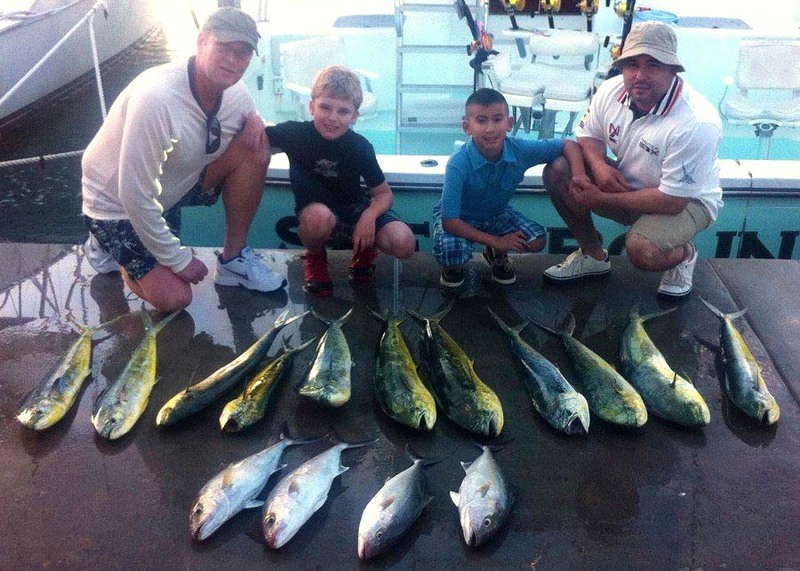 On the deep side Fall Miami Fishing is Heating UpFall Miami Fishing is Heating Up…of the reef, just 15 minutes from our dock we are seeing Kingfish, Blackfin Tuna, Mahi-Mahi & Sailfish. 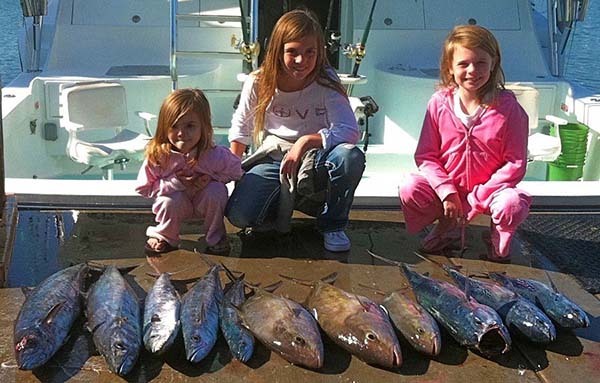 The deep wrecks begin to produce some larger Grouper and Big Golden Amberjacks. Out a little deeper we see some large Sharks, Dolphin Fish and Wahoo. As the air and water temperatures begin to fall North off Florida. The migratory sport game fish begin their winter migration to the South. The waters off South Florida and Miami remain warm in relation to the rest of the coast. Bait fish and all sorts of pelagic and bottom fish migrate just behind the bait they hunt. All of which will be passing by the reefs off Miami and Miami Beach.